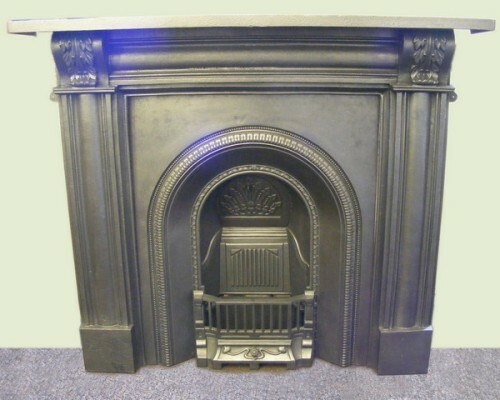 If you go all the way back to the early part of the 19 century you’ll find that nearly all new fireplaces were made in two parts. 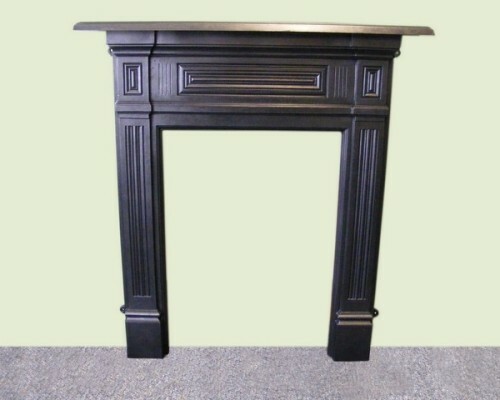 There was the outer part or the fire surround and the inner part or ‘insert’. 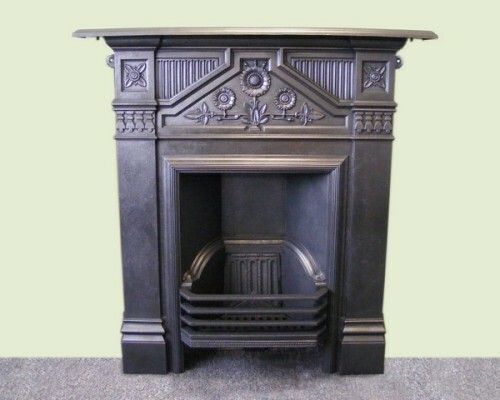 This was made of cast-iron and was where the fire burnt, the iron was important as it was a robust material which would not buckle under the intense heat. 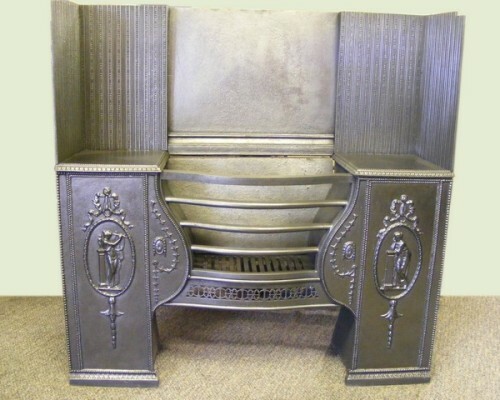 As the period progressed and foundries became more advances they developed the ability to make much larger pieces. 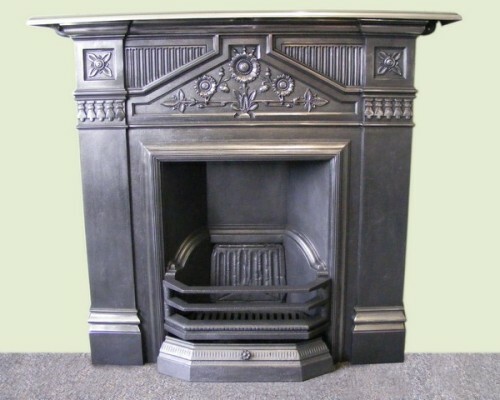 At this time the whole fireplace was cast from iron. 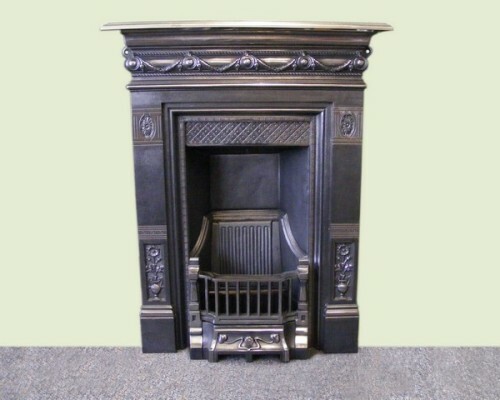 Thus entered the era of the full cast iron fireplace where the whole inside, surround and mantelpiece was made from the material. 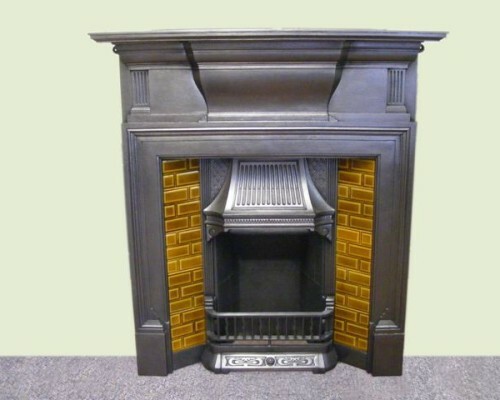 These items provide a focal point for any period room with the fireplace itself inset into the chimney with the shelf part of the design. 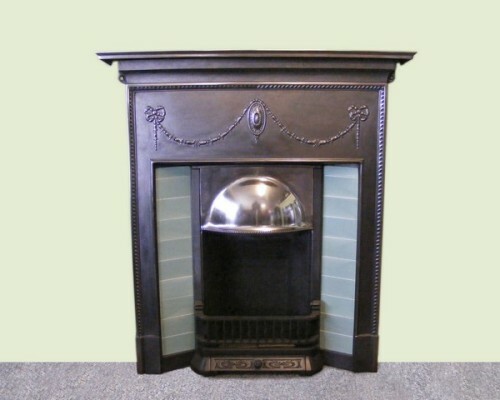 This meant that there is no need to have a separate mantel over the top making for a single compact unit that can be fitted in to place. 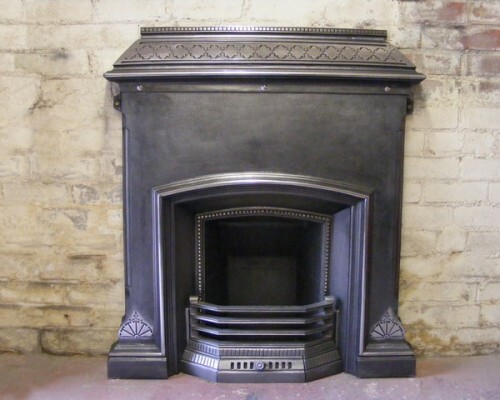 The piece itself is finished with blacklead which is a form of soft graphite which is rubbed into the surface of the iron. 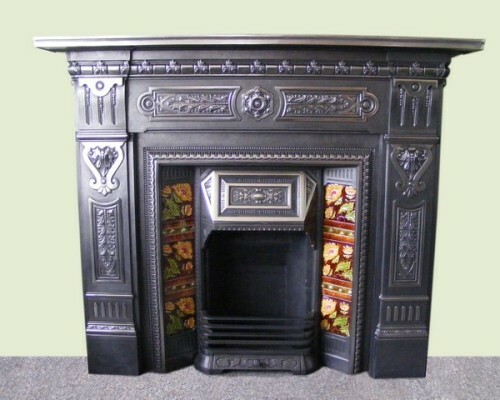 This gives it a lustrous black metallic finish which is the typical look of these fabulous pieces. 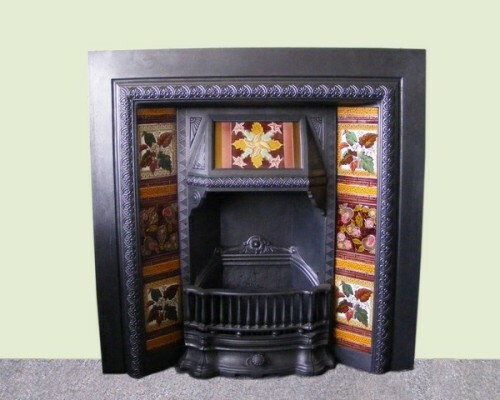 Many of these original pieces come with elaborate tiles which are inset into the sides surrounding the grate and insert. 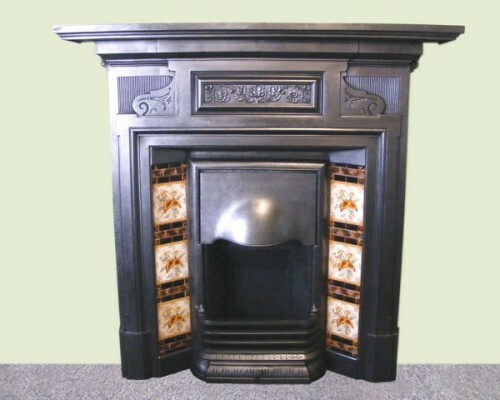 These come in a huge variety of designs and colours and are highly prized in most homes for their originality.